Founded in 1978, the Wound, Ostomy and Continence Nursing Certification Board (WOCNCB) is a not-for-profit professional, international nursing organization certifying over 8,600 registered nurses who are specialists in the field of wound, ostomy, continence and foot care. WOCNCB has Board Certified nurses in Canada, South Korea, Japan, Malaysia, the United Kingdom and Saudi Arabia. Wound, Ostomy, Continence and Foot Care Nurses at all practice levels are WOCNCB® certified. WOCNCB® is committed to safe, patient-centered care by maintaining the Gold Standard in wound, ostomy, continence and foot care nursing. to provide identification of nurses who have achieved certification in wound, ostomy, continence and foot care nursing to employing agencies, the public and other healthcare professionals. The WOCNCB endorses the concept of voluntary, periodic certification. WOCNCB certification focuses specifically on the individual and is an indication of current knowledge in a specialized area of nursing practice. Certification provides formal recognition of wound, ostomy or continence (WOC) and foot care nursing knowledge. establishing and measuring the level of knowledge required for certification in wound, ostomy, continence and foot care nursing. providing a standard of knowledge required for certification, thereby assisting the employer, public and members of health professions in the assessment of the Wound, Ostomy, Continence and Foot Care Nurse. As part of any code of nursing professional practice, it is expected that there will be no lapse of professional licensure during the five-year certification period. Any appearance of licensure revocation, including those due to any misdemeanor or felony charges, will immediately be reported to the WOCNCB resulting in the revocation of certification. Reapplication for certification will be considered on an individual basis following reinstatement of RN licensure by the appropriate State Board of Nursing. 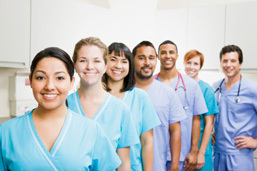 Proof of a current RN license must accompany all applications. To protect the validity of WOCNCB credentials, the WOCNCB depends upon WOCNCB certificants, WOCN® Society members and the public to report incidents that may require action by the Credential Review and Appeals Committee. Click here to submit a formal complaint. For a complete copy of the WOCNCB’s Credential Review and Appeals process, contact our office at info@wocncb.org. The WOCNCB does not discriminate among certificants on any basis that would violate any applicable laws.